The 30-Day Solution | How to Quit or Cut Back Drinking in the Privacy of Your Own Home! When you think of cutting back or quitting drinking how do you feel? Are you afraid what others would think if they knew how much you drank or leery of the conventional “public” methods of recovery? Does the idea of not drinking sound like a boring and dull life, one that is hard to imagine being worth living? Are you concerned that your attempt to change or quit will end in failure again, or that you will no longer fit in at social events? Does it make you sad to think what it will be like not having your wine, beer, or liquor at the end of a stressful day or week? The 30-Day Sobriety Solution is a groundbreaking program for recovery that was researched, developed, tested, and improved over a span of eight years, combining timeless success principles with potent recovery techniques, powerful therapeutic practices, and leading coaching strategies. Filled with success stories of people just like you, The 30-Day Sobriety Solution will lead you step-by-step through the process of finally overcoming your excessive drinking for good, even if you have tried before and failed. This is not just a book filled with good ideas on how to quit or cut back drinking. This book has been created with one purpose in mind: to create the most effective recovery resource ever published – helping you replace your drinking with the vibrant, purposeful, joy-filled life you want. ITS NOT JUST A BOOK! The 30-Day Sobriety Solution book is packed cover to cover with content that can change your life, but we knew if we really wanted to help support you we had to take it a step further. Spending over a year in development, we have created a feature rich, easy-to-use membership website containing multimedia content, new breakthrough research, and a variety of tools and resources—all to support you through this critical time of change. 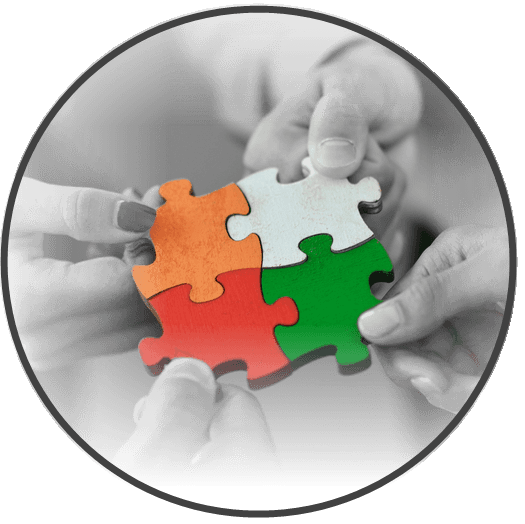 In addition we have built a community where you can privately, and anonymously connect, support and interact with other like-minded individuals. All of which is only as far away as your computer, table, or phone. most comprehensive, inspiring, and powerful recovery resources ever published. Still not sure if this book is for you? Discover the life changing solutions included in the program, as Jack and Dave guide you through the five proven phases of the transformation journey. Learn Jack’s moving story that helped inspire this book. To keep reading use the scroll bar on the right. 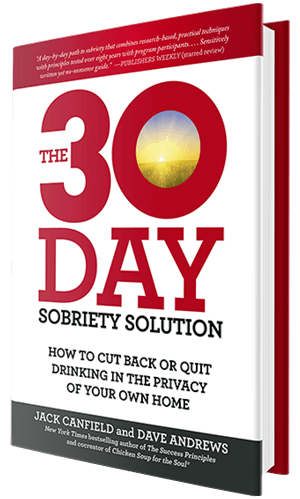 The 30-Day Sobriety Solution is a great book. It combines the best techniques of the human potential (EFT Tapping, neurolinguistic programming, life purpose exercises, goal setting, meditation, guided visualization, affirmations, journaling), with the best approaches from recovery counseling and coaching in a comprehensive approach that works to overcome alcohol abuse and addiction. This is a wonderful, thoughtful book that will guide you and inspire you to get complete control over your drinking problem once and for all. Since society reinforces drinking, being sober can be a huge challenge. The 30-Day Sobriety Solution offers a lifeline to those ready to take charge of their drinking behavior. 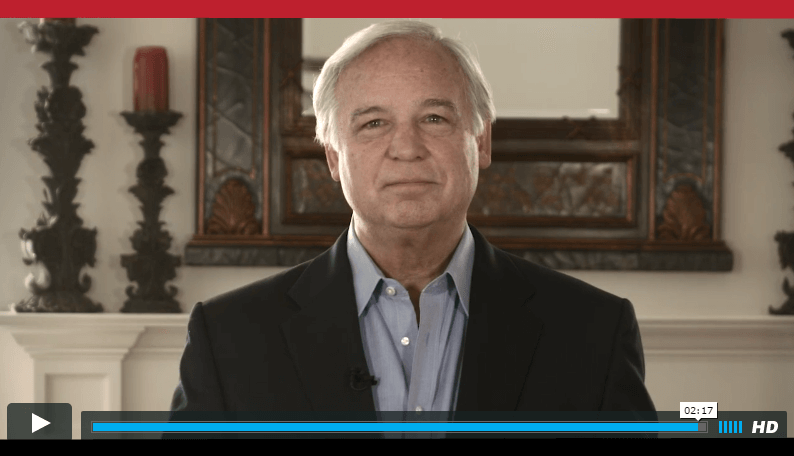 Jack Canfield and Dave Andrews have created a practical guide that fills an important niche in the literature on recovery. Finally a book that combines the best of timeless success principles with potent recovery and therapeutic practices and coaching strategies, making it a comprehensive, inspiring, and powerful recovery resource. If you know anyone who is struggling with alcohol and addiction, please give them this book. It offers a breakthrough approach, combining the very best of the human potential movement with the very best of recovery programs. The 30-Day Sobriety Solution will take people beyond recovery, helping them experience deep and lasting happiness in life. If you are concerned about your drinking and looking for answers, look no further. 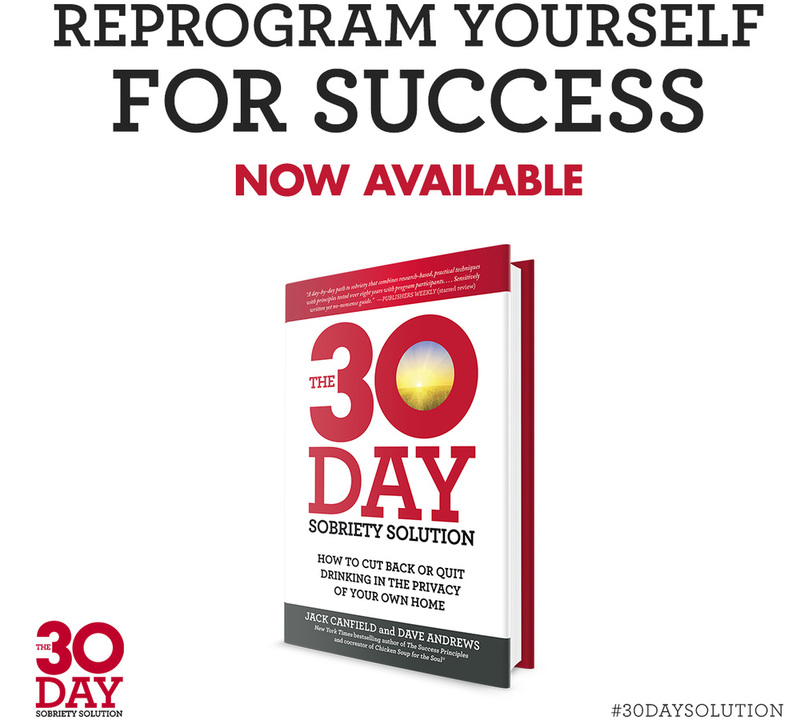 The 30-Day Sobriety Solution will change your life. Dave Andrews and Jack Canfield have integrated powerful new tools and techniques for recovery, with what we know already works. The 30-Day Sobriety Solution is a comprehensive program all for the price of a book. The 30-Day Sobriety Solution by Dave Andrews and Jack Canfield navigates this complicated landscape of alcoholism and addiction with an elegant, compassionate and "easy to follow" roadmap to sobriety and a fulfilling life. Grounded in Jack Canfield’s proven success principals, this book is the Apple computer for recovery and long-term sobriety! The 30-Day Sobriety Solution is a classic book that gives the reader powerful tools to overcome any addiction. I highly recommend it. With 11 years of sobriety I know that the key to ongoing happiness is embracing personal growth, whether it is related to creating more success in my career, developing and maintaining more fulfilling relationships, or being more emotionally and physically healthy. What surprised and excited me were the results I experienced when I completedThe 30-Day Sobriety Solution. Not only did my life improve in each of these areas, but more importantly, it helped me have even more fun and passion in my life without alcohol. I believe that The 30-Day Sobriety Solution is a ground-breaking program that will help anyone who wants to get and stay sober, and be happy in life without feeling the need to drink. The 30-Day Sobriety Solution did what I didn’t think was possible—it made getting and staying sober fun. Prior to discovering this program I tried many things, from AA, to therapy, to other recovery programs, but none of them freed me from the prison alcohol was holding me in like The 30-Day Sobriety Solution. The solutions I learned from The 30-Day Sobriety Solution have been extremely effective in maintaining sobriety and thriving in it; they are the foundation upon which my sobriety is based. When I started The 30-Day Sobriety Solution I had one goal—to remove my desire to drink. In the past I had been able to string together some continuous sobriety, but the desire to drink always remained. After recently turning 50 I knew I wanted to live the rest of my life differently, and The 30-Day Sobriety Solution ended up being exactly what I needed to help me accomplish this. By the time I finished the program the desire to drink was amazingly gone, and it continues to be to this day. In fact, when I think about drinking, I wonder why it ever seemed so important to me in the first place. Wine was always my drink of choice, and even after facing serious health consequences from drinking excessively, I still couldn’t face quitting. After my last emergency room visit I actually went to the liquor store on the way home, telling myself I needed alcohol to 'relax.' I've attended a 6-week AA treatment facility in the past and have tried AA meetings. The 30-Day Sobriety Solution is the only one that has helped. I felt like I was reading a program written specifically for me. Not only have I completely quit drinking, but I used the same methods to quit smoking. My nineteen-year-old daughter even told me how happy and proud she was of me, and for the first time since I can remember I actually feel like a good role-model. Having my doctorate in psychology not only meant that I was able to study some of the most celebrated psychologists in the field, but also that I learned what really drives human behavior and how to change it. What was so exciting about The 30-Day Sobriety Solution is how effectively it ‘translated’ and applied so many of these critical concepts, techniques, and teachings to cutting back and quitting drinking, as well as integrated countless other transformational tools taught by leading authors, trainers, and self-help experts. The end result is a comprehensive holistic program that will become the new standard for sobriety—all for the price of a book. 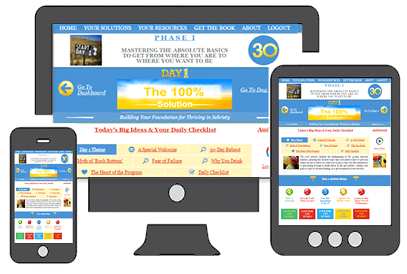 When I heard about The 30-Day Sobriety Solution my interest was instantly piqued. The habit of a glass of wine with dinner had crept into my life, and that one glass was enough to diminish my motivation to work out, meditate, or even read. And being a doctor, I felt that this was a contradiction to what I believe and teach others. I also wanted to drop some extra weight, reduce toxicity, and explore my desire to drink that glass of wine in the first place. Not only did The 30 Day-Sobriety Solution help me successfully navigate my initial goals, but as a result of doing each day’s action steps I really felt different. I became less stressed, more centered, and there was no longer a craving to “take the edge off” towards the end of my day. I was also thrilled about how so much of what I learned improved other areas of my life as well. I feel great, and highly recommend The 30-Day Sobriety Solution, whether your goal is to quit drinking completely, or just to cut back on the nightly ritual of drinking wine. All areas of my life started to slowly improve at the very beginning. I was very skeptical at first, but the more solutions I completed, the more clear things became. Within two months of starting The 30-Day Sobriety Solution I was closer to my family, performing better at work, coping with stress much more easily, had lost 30 pounds, was training for a marathon, and, most interesting, my social life actually improved. 3) Start reading! And don't worry, we'll tell you in Day 1 how to use this website. Dave Andrews, with over 8 years of sobriety, is a leading expert in helping others build a thriving life in sobriety and triumph over addiction. As a speaker, sobriety coach, author, and Certified Coach in Positive Psychology, Neuro-Linguistic Programming (NLP), and Strategic Intervention, Dave has been a featured guest and “Sobriety Expert” on numerous national and international talk shows. It's Time to Take Control Back of Your Life! Signup to Get Tips, Techniques, & Tools to Thrive in Sobriety & Life!